San Francisco, Microsoft has launched the surface laptop and streamlined operating software in the movie, which is aimed at the regaining ground in classrooms, which are under control of Google Chromebooks. 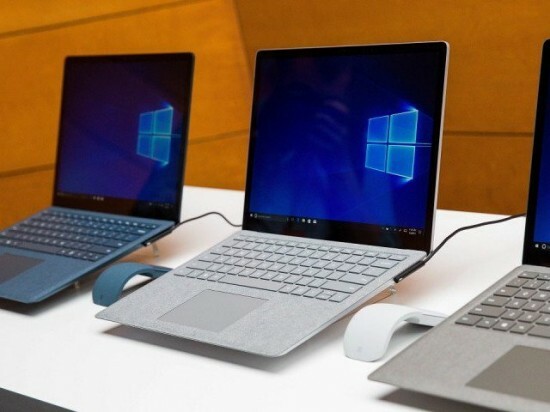 The new and latest surface laptop is powered by Windows 10 S operating system, which was shown off at the education focused Microsoft event conducted in New York city and it will be introduced in the market next month with the hardware starting at $999. The Surface Laptop was prepared for the college students and it intended to set the performance bar for partners and they will be coming in the market with lower priced computers, which is powered by Windows 10 S to attract the students of all grades. The executive vice president of Windows and Device group said in a release that it was their goal with Window 10S, is to develop the open vibrant partner-centric ecosystem. He also handed over the list of the partners like Acer, Dell, ASUS, HP, Fujitsu, Toshiba and Samsung and said that the price of the Windows 10 S device is as low as $189, which will be provided to the clients in coming months. Microsoft will start taking orders for Surface laptop and it has planned to provide the laptops in mid June. Google Chromebooks act as the gateways to program and services, which are hosted in internet cloud to become hit in US classrooms and take the terrain as it was dominated by Microsoft and Apple. Computers run on the streamlined Windows 10 S and it will tap into online tools like Microsoft Office 365 and it will get the applications, which have been vetted at Windows online shop. Windows 10 S is inspired by students and teachers and it is streamlined for simplicity, superior performance and security. These laptops will reflect the soul of Windows. Microsoft has made the announcement of the partnership with educational company Pearson to integrate 3D and mixed the reality experiences into higher level curriculum. The alliance could lead to the classroom content, which are tailored for Microsoft HoloLens augmented reality headgear.